Community-based adaptation (CBA) seeks to address climate risks and socio-economic drivers of vulnerability simultaneously. However, as CBA activities appear very similar to standard development work, difficulties in identifying good practices arise. 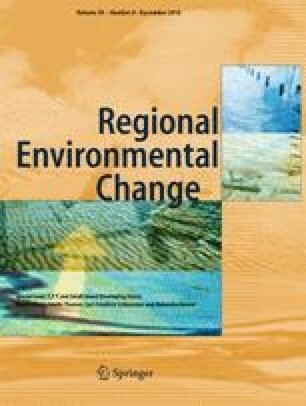 To clarify the role of CBA, this study elucidated how climate change can impact pre-existing development problems by investigating the experiences of four low-lying island communities in central Philippines. The islands currently suffer from frequent and extreme tidal flooding (following an earthquake-induced land subsidence in 2013, with a magnitude that is broadly similar to sea-level rise projections under a 1.5 to 2 °C global warming scenario), and endured a dry spell in 2016. The study also identified various publicly and privately initiated adaptation strategies, and evaluated their resilience against actual biophysical events. The study conducted focus group discussions with local leaders and in-depth interviews with government officials and residents in March 2016. Results show that tidal flooding impacted almost all aspects of daily life on the islands, while the dry spell completely depleted their limited water supplies. The strategies implemented by governments and NGOs (e.g., seawalls, rainwater collectors) were found to be inadequate in preventing tidal flooding and compensating for the dry spell. Also, communities used coral stones and plastic waste for raising the floors of their homes, which have an erosive effect on their capacity to adapt in the long term. Lack of community participation in publicly initiated projects and lack of adaptation funding for community-based strategies were the greatest obstacles to implementing climate-resilient solutions. The online version of this article ( https://doi.org/10.1007/s10113-018-1332-8) contains supplementary material, which is available to authorized users. The authors would like to thank Angelie Nellas and Xyza Kristina Billones of the Zoological Society of London - Philippines for their technical assistance during our field surveys. We are also deeply grateful for the full cooperation of the Municipal Government of Tubigon and the island communities of Batasan, Bilangbilangan, Pangapasan, and Ubay in this research. This work was funded by The University of Tokyo, Graduate Program in Sustainability Science - Global Leadership Initiative, Chiba, Japan.